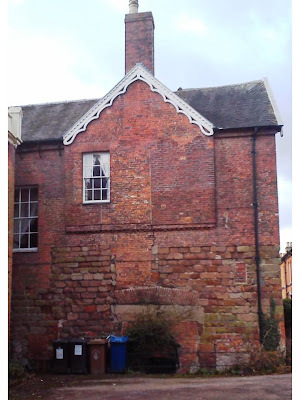 I visited Dr Milley’s Hospital at No 7 Beacon Street, Lichfield, yesterday [30 May 2015] as part of a small tour organised by Kate Gomez and the local history group, Lichfield Discovered. We were welcomed at the front door by the chair of the trustees, Mrs Sheelagh James, who is also Deputy Mayor of Lichfield, and were shown around the house in small groups by two other trustees, Mr Peter Parsons and Mr Ronald Monk. Alongside the Cathedral and Saint John’s Hospital, Dr Milley’s Hospital is one of the oldest surviving buildings in Lichfield. The original almshouse was founded almost 600 years ago by the Bishop of Lichfield, William Heyworth, in 1424, and it was refounded and endowed by Canon Thomas Milley over 500 years ago in 1505. This hospital for fifteen women was founded by by Thomas Milley, DD, Canon Residentiary of the Cathedral Church of Lichfield AD 1504. A view of the front of the hospital, drawn in 1841, suggests a number of alterations were made in the 18th century. These included the facing of the exterior with plaster, the insertion of wood casement windows, and the addition of gabled dormers to the roof. Stepping into the hospital was like stepping down in a bygone age, and I mean stepping down, for the ground floor of Dr Milley’s Hospital is now well below the street level on Beacon Street, due both to its original location in the town ditch, and to the raising of the street levels over the years, catering for the heavy traffic along the A51 which was once the main road from Chester to London, running through the heart of Lichfield. The front range, facing onto Beacon Street, contains a central stone porch giving access to a wide entrance hall flanked by rooms for the matron and almswomen. 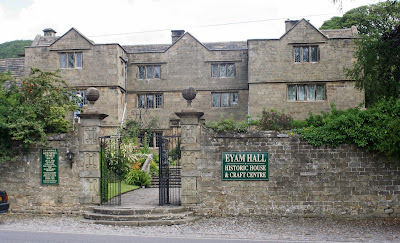 It is possible the large beam in the entrance hall below the chapel dates back to the building of 1504, and I had to stoop my head several times to avoid a nasty bump. The hospital building is a two-storey, red-brick building, with a stone plinth and stone dressings. Originally the building was L-shaped in plan: from the southern end of the front range, a long rear wing extended back along the southern boundary of the property. It is generally believed in Lichfield that parts of Dr Milley’s Hospital date back to the 16th century and that the building survived the English Civil War in the mid 17th century. 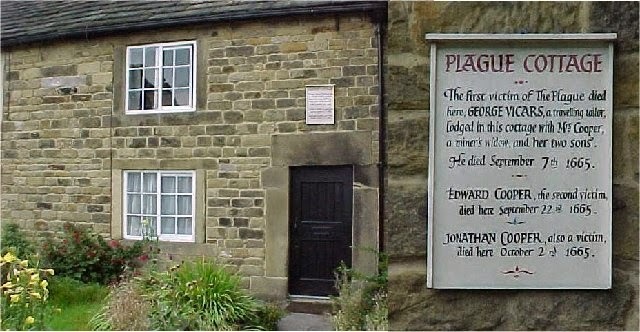 However, a scientific report by MJ Worthington and DWH Miles of the English Heritage Centre for Archaeology in 2002 used dendrochronology or tree-ring dating techniques and they suggest that much of the hospital did not survive the civil war and that it was rebuilt just after 1652. An examination of glass-making techniques has shown that some of the glass in windows in the upper storey survive from the late 17th and early 18th century. The chapel is in the oldest part of the building, and is in a separate space on the first floor, above the porch and hallway and facing east. The rear wing has a corridor on each floor, and these corridors originally gave access to residents’ rooms on the south side of he building. On the north side of the corridors is the staircase and also a two-storey addition, probably dating from the late 18th century, containing two rooms. At the bottom of the staircase, we were pointed to the covering over a well that provided fresh, clean water in the hospital until the first half of the 20th century. The internal partitions are of heavy close-studded timbering and incorporate many of the original early 16th century doorways. By the early 20th century, the hospital was in need of modernisation and repair, and a complete rebuilding was proposed, with plans to demolish the old building. However, the Charity Commissioners wanted a careful restoration instead, and their recommendations were carried out in 1906-1907. The alterations allowed for only eight resident women, but their accommodation was now more comfortable. New stone-mullioned windows were inserted at the front, and the external plaster was stripped away to reveal the earlier brickwork. Each woman had one room for all her needs, but water had to be carried from the well at the end of the passage. The building was designated a Grade II* Listed building in 1952, and it was not until 1967 that the hospital was provided with one bathroom and a communal laundry room. Dr Milley’s Hospital was extensively refurbished in 1985-1987, with a major extension and the provision of a communal lounge. New kitchens were provided in 2013, the communal lounge and heating were renovated in 2014, and this year sees the updating of bathrooms in in the apartments. Dr Milley’s Hospital now has 10 residents. Six of the women live in self-contained flats and the other four live in studio apartments. Each resident has her own kitchen and bathroom, and some women live in studio apartments. After our tour of the hospital and gardens we were entertained to morning tea and coffee in the Dennis Birch Room, which serves as a community or common room, and in the gardens. 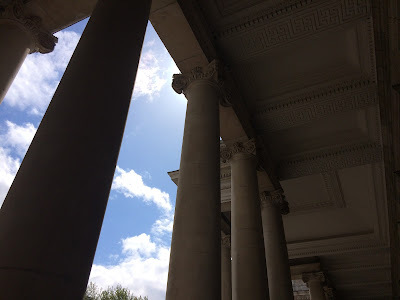 Today is Trinity Sunday [31 May 2015], the patronal festival of Christ Church Cathedral, Dublin. The preacher at the Festal Eucharist this morning is the former Archbishop of Dublin, the Right Revd John Neill. Later, the Friends of Christ Church Cathedral are hosting their annual lunch in the cathedral crypt and holding their annual general meeting in the chapter room. The new bishop had been a canon of Christ Church Cathedral for 20 years since 1995 and he remained a chapter member throughout his ten years as Secretary General of the Anglican Communion since 2005. Bishop Kearon, who studied at Mountjoy School, Trinity College Dublin and Jesus College Cambridge, was ordained deacon in 1981 and priest in 1982. He was curate of Raheny and Coolock, Dean of Residence and chaplain in TCD and Rector of Tullow before becoming the Director of the Irish School of Ecumenics in 1999. 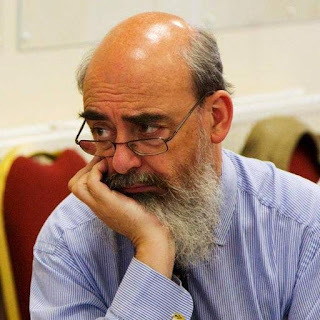 He has lectured at the Church of Ireland Theological College, TCD, and the schools at the Adelaide and Rotunda hospitals, and written extensively in the area of medical ethics. He is married to Jennifer, a physiotherapist and daughter of Bishop Samuel Poyntz, former Bishop of Connor and of Cork, Cloyne and Ross. The new bishop’s consecrating bishops were Archbishop Michael Jackson of Dublin, Bishop Pat Storey of Meath and Kildare and Bishop Patrick Rooke of Tuam. The other bishops of the Church of Ireland present who took part in the consecration were Archbishop Richard Clarke (Armagh), Bishop John McDowell (Clogher), Bishop Paul Colton (Cork) and Bishop Michael Burrows (Cashel and Ossory). The retired bishops who took part included the new bishop’s father-in-law, Bishop Samuel Poyntz, his three immediate predecessors in Limerick, Bishop Trevor Williams, Bishop Michael Mayes and Bishop Edward Darling, as well as Archbishop Alan Harper (Armagh), Archbishop John Neill (Dublin), Archbishop Walton Empey (Dublin) and Bishop Kenneth Clarke (Kilmore). Archbishop Barry Morgan of the Church in Wales was the preacher, and Bishop James Tengatenga, the new chair of the Anglican Consultative Council, read the Gospel. The other visiting bishops who took part in the consecration included: the Scottish Primus, Bishop David Chillingworth, Bishop Gregory Cameron (St Asaph, Wales), Bishop Ellinah Wamukoya (Swaziland), and Bishop Edward J. Konieczny (Oklahoma). This was the first time for Methodist presidents to take part in an episcopal ordination in the Church of Ireland since the decision of both the General Synod in Christ Church Cathedral last year and the Methodist Conference allowing for the inter-changeability of ministry. 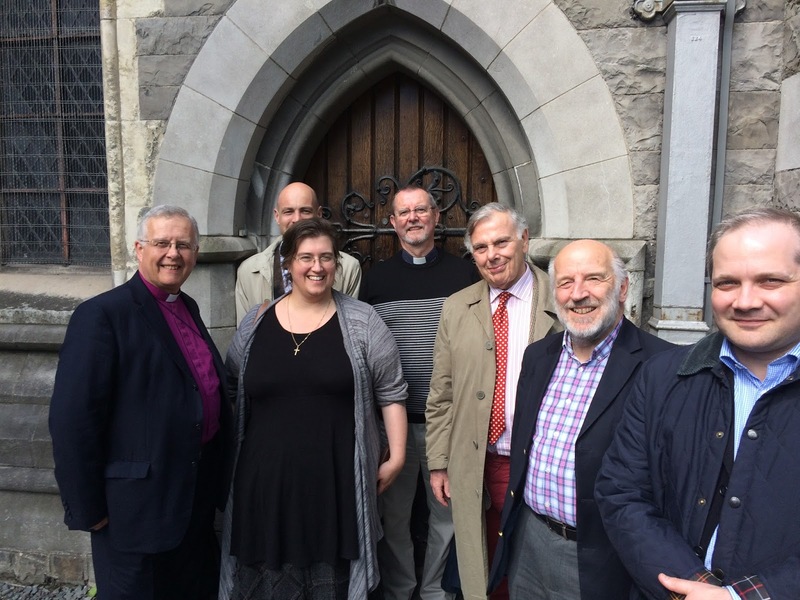 The Church of Ireland now recognises Methodist Presidents as Episcopal Ministers, and the consecration marks the start of full inter-changeably of ministry between the two Churches. On the evening before the consecration, the Chapter and the Friends of Christ Church Cathedral hosted a reception in the Chapter House dinner in honour of the new bishop in the newly refurbished music school. The attendance included members of the chapter and friends, and guests from throughout the Anglican Communion. After Bishop Kearon’s consecration, a reception in the Radisson Blu Royal Hotel, Golden Lane, was attended by the many old friends of the new bishop, including Clare Amos of the World Council of Churches, Janette O’Neill, Chief Executive of Us (formerly USPG), clergy from dioceses throughout the Church of Ireland, visitors from throughout the Anglican Communion, and friends from the Irish School of Ecumenics.